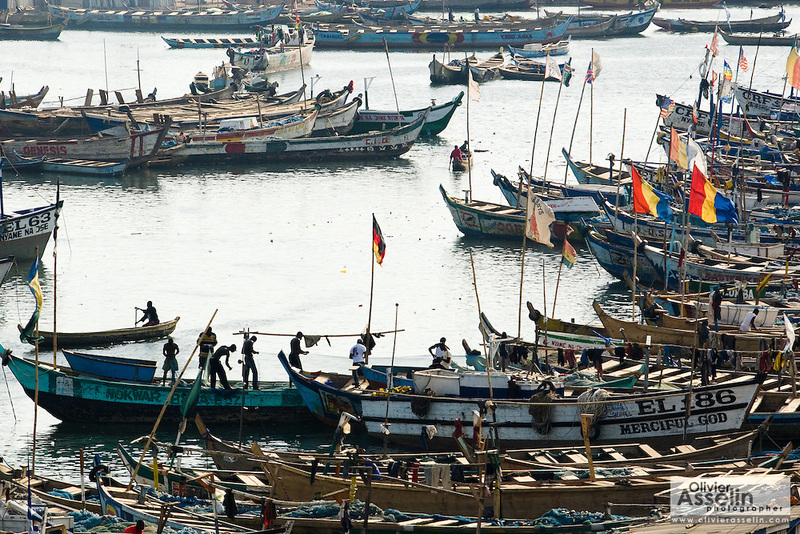 Fishing boats in the harbor of Elmina, about 130km west of Ghana's capital Accra on Thursday April 9, 2009. Global fish stocks are running low; the advocacy group Environmental Justice Foundation says fisheries are in deep decline and could collapse within 50 years if current trends continue. Developing countries like Ghana are among the crisis' first victims.